Home Inspection in Estonia – Are You Looking to Buy or Rent a New Home in Tallinn? For apartments we offer three packages of inspection with different thoroughness to meet the needs of every home buyer. Check out the packages and choose what’s best for you. With Home Inspection Services, you can buy or rent your new home in Tallinn or nearby areas with peace of mind. We help you understand what mistakes and problems can accompany property when acquiring an apartment or a house. The Home Inspection Report enables you to make smart choices – and save time and money by avoiding problems down the road. Do you want an Inspection for a house? Buying a house is probably the biggest investment you will ever make. An overview of the house’s overrall condition, the electrical systems, the possible repairs needed as well as the features in good condition (eg. new electrical system, well-maintained pipes) will give you the information needed to make an informed purchase decision. In addition, you can plan your budget for the necessary repairs based on the Home Inspection report. Given the complexity of the structure of a house and different needs of clients, we offer two different service packages – Basic and Premium. Basic gives a good overview of the house’s interior and construction. Premium package also includes the parts of the façade and outdoor area. Home Inspections of houses start at 519 euros. You can contact us at (+372) 50 63 888, info@homeinspection.ee or via the contact form below. Would you like to book a Home Inspection for a house? Get in touch with us – we will ensure that no detail is overlooked, giving you the peace of mind and confidence in your home purchase. How does the Home Inspection service work? Each of our client's wishes and needs are different. In order to meet your expectations, we have developed different service packages for apartments, houses and new real estate developments. Check out the content and price of the package that best suits you. If you want to ask additional questions about the packages, don’t hesitate to contact us – we will be glad to answer your questions. Send us a request via the contact form of the website or by e-mail info@homeinspection.ee or contact us by phone 50 63 888. Tell us the date and time you would like the snagging survey to be carried out. Also, give us your exact address (street, house, city), where the inspection will take place. We will issue an invoice for the service that you order. Upon receipt of payment, and confirmation of appointment time, the Home Inspector will meet you at the appointed time and place and will provide a visual assessment of the items in accordance with the terms and conditions specified in the service. Within 2-3 days of the inspection, the Ehituskaitse Büroo will email you the Home Inspection report, with the information you will need on the condition of the property you are intending to buy or rent. 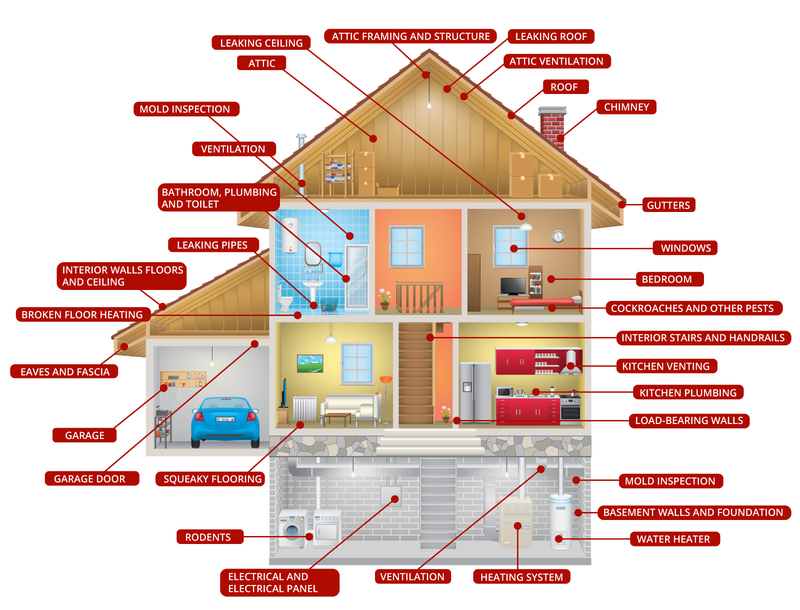 What is reviewed in a Home Inspection? Buying an apartment in a new development project? In the current real estate market, a large portion of pre-construction apartments are already sold before a shovel even goes into the ground. This means that when you buy an apartment, the sole source of information for the customer is the developer's words and informational materials – the floorplan, the apartment plan, the price list, the presentation of the project, etc. How to make an informed purchase decision based on a two-dimensional drawing? Home Inspections help to anticipate potential problems or design flaws in the case of pre-construction apartments. The cost of the home inspection for pre-construction apartments depends on the size of the apartment – a thorough analysis is more time-consuming in the case of a larger apartment. Once the builder has installed the technical systems of the shell and core, we can carry out a preliminary inspection on the site. Home Inspection prices of for new development apartments start at 349 euros. You can contact us at (+372) 50 63 888, info@homeinspection.ee or via the contact form below. Is your new home warranty about to end? Real estate developers in Estonia provide a construction warranty for new apartments or houses, which is generally valid for 2 years. During this time, the builder is obligated to fix any construction defects that arise. The end-of-warranty inspection helps the owner of the apartment or house to determine whether there are any problems, the repairs of which are the builder’s responsibility. The most common problems are loose molding, cracked wall or ceiling corners, difficulty in opening and closing doors or faulty floor heating. In worst cases, there is visible moisture damage in the bathroom or the electrical system is problematic. During the End of Warranty Inspection, the home inspector will examine and determine whether there are defects that are subject to modification by the builder in the warranty . The Home Inspection’s expert assessment helps identify the problems that people who are not familiar with the field may find difficult to notice and will provide information on potential problems in the future. Thus, the homeowner does not have to spend their time or money solving problems, as this is the responsibility of the builder. End of Warranty Inspection prices start from 198 EUR. Ask for an offer by phone (+372) 50 63 888, e-mail info@homeinspection.ee send a request through the contact form below. Buying an apartment in a new development project? Or the developer’s warranty is about to end? Contact us – we will help you avoid potential problems and project design errors that may occur, so that your home purchase will be as good as the developer’s promises. We will help you identify problems which the builder is obligated to repair. 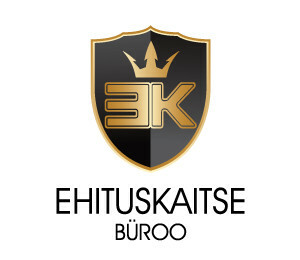 Ehituskaitse Büroo is based on the philosophy that everyone is not a specialist in every field. Just as you trust your doctor with your health, and your mechanic with your car, your home inspection is best left to the Ehituskaitse Büroo. The specialists of the Ehituskaitse Büroo Büroo have more than 20 years of experience in the Estonian construction market. During this time we have been involved in the process of construction from beginning to end – we have designed buildings and utility networks, managed construction activity, and we’ve built. Our experience includes major projects funded by the European Union as well as building and construction work for corporate clients and private individuals. In addition to Estonia, we have extensive building experience across Northern Europe. We have adopted the European customer service culture, which is to say we are oriented towards the client. In our day-to-day inspection process, we have seen that the quality of construction can be inconsistent and often unacceptable. We also see that the typical 40-50 year old apartment buildings often hide unexpected issues that are difficult to detect and can end up being unpredictably costly to fix up. Building quality standards are moving in the direction where insurance losses incurred as a result of construction defects are no longer compensated to the homeowner. We are able to determine if your future home is built with a high standard of quality, thus preventing problems and avoiding unforeseen expenses. A home buyer wants the certainty that a Home Inspection can offer – we can assess whether the condition of the house meets the expected standards, and therefore is free of health and safety hazards. Vallo Vain on Ehituskaitse Büroo juhtiv kinnisvarainspektor-ekspert. Ta on töötatud kinnisavara hooldusega tegelevates ettevõtetes, suuremates ehitusfirmades objekti- ja projektijuhina kuid ka ka väiksemates ettevõtetes viimistluse ja eritööde juhina. Viimastel aastatel on Vallo põhitegevus olnud ehitusjärelvalve ja kahjujuhtumite hindamine kindlustusseltsidele. Vallo Vain soovib oma pikaajalise kogemuse Sinu heaks tööle rakendada ja aidata Sind oma ülevaatusega kinnisvara seisukorra hindamisel. Vallo Vain is the Leading Expert Home Inspector in the Ehituskaitse Büroo. Vallo Vain graduated Tallinn University of Technology in the field of Construction Economics and Management. Following university, Vallo worked in real estate management companies and was a site and project manager in larger construction companies. 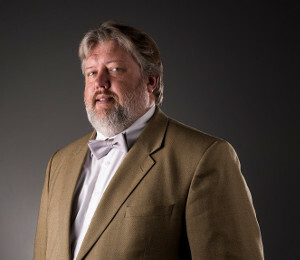 As a building expert with a wide profile, he has also worked for smaller companies, managing projects and custom builds. In recent years, Vallo’s core business has been construction supervision and claims assessments for insurance companies. Vallo Vain wants to apply his extensive experience to assess your potential real estate. Home Inspection protects your interests when buying real estate! We commissioned a Home Inspector to evaluate the condition of the bathroom in a wooden house in the city center. It had been renovated nicely, but the floor sagged when we stepped on it. The Home Inspection report revealed that the bathroom did not have a ventilation system and the waterproofing was poorly done. Since the apartment was just what we were looking for at that time, we were able to negotiate a slightly lower price, and bought it - ignoring the sagging floor and hoping to fix the problem by repairing the ventilation. When we started the repairs and which also included replacing the ceramic tiling, it turned out that the all the flooring and walls needed to be replaced. Though the previous renovation was done 10 years ago, lack of ventilation in a humid room done its damage. The cost of the repairs greatly exceed any savings of the discounted cost of apartment purchase. Buying a house is one of the largest purchases most of us will make in our lifetime. A house is more than walls and a roof. It has many complex systems that only a professional can evaluate. I have purchased several homes in my life. I have always depended on a qualified inspector to help me make sure I know where there are hidden defects. I have just purchased my first home in Estonia and I needed an inspector who could help me make a smart purchase. I was lucky to find Ehituskaitse Büroo. Their expertise helped me to not buy a disaster and instead, with their guidance, I was able to buy a great house. I would never buy a house without an inspection and I would quickly call Ehituskaitse Büroo if I was buying another. We ordered Home Inspection services to assess the condition of the bathroom in the wooden house downtown. The bathroom had been nicely renovated, but the floor sagged when stepped on. The Home Inspection report revealed that the bathroom was in need of major repairs – there was no ventilation system, the waterproofing had been poorly done, causing damage to the flooring and the wall structure as a consquence. Since the apartment was just what we were looking for at the time, we got the price under the estimated cost of repairs and bought it. During the renovation of the bathroom we replaced everything starting with the floor and wall constructions. We are satisfied we made the right decision based on the information we received from Ehituskaitse Büroo. I am not a professional in construction of apartments etc. so when I make an investment to buy an apartment I want to get support from a professional. I contacted Ehituskaitse Büroo home inspection services. I got quick response and was assigned a home inspector. After sharing documentation he made visual inspection together with the builder of the apartment. Ehituskaitse Büroo observations supported me to get builders consent to make corrections to fix the observations. I am very happy with the service I received and would recommend others to use the same to get professional support during a home inspection. As a provider of accommodation at Padise Manor, we must always ensure that our guests enjoy the best conditions. That is why an unpleasant odour in a number of guest rooms had us worried about the condition of the bathrooms. We turned to the Ehituskaitse Büroo for help and asked them to come assess the issue. The Home Inspection helped us through the entire process from identifying to resolving the problem – we were given an assessment of the condition of the shower rooms, recommendations and cost estimates for the necessary repairs. My partner and I were looking for our first apartment and wanted the certainty of making the right decision. The apartment we were looking at was in a new development project. That is when we found Ehituskaitse Büroo services online. We received a call immediately after making an enquiry and were given advice about the following steps. We were shown all defects that needed to be repaired on-site. In our new development, these were mostly color defects, faulty window calibration and other small defects. We most certainly wouldn’t have noticed them all by ourselves. After a few days, we also received a thorough report in written form with photos. Later the report helped us to independently inspect all the repairs that had been done by the developer. We definitely intend to use the same service again in 22 months, before the end of our apartment’s construction warranty. Thank you Ehituskaitse Büroo for pleasant and professional assistance! We ordered the end of warranty inspection service and got assurance about the condition of the apartment due to professional inspection. We also received a detailed report which we took to the developer for warranty repairs. We will most certainly use Ehituskaitse Büroo services again in the future if we were to acquire a new home. Thank you very much! I ordered an assessment from Ehituskaitse Büroo to evaluate the condition of a new apartment in Tallinn. During the inspection that was ordered after a friend’s recommendation, I could instantly see that the home inspector’s work is thorough – although the apartment was technically in good condition, I received a long and detailed report as a result of the inspection. I am pleased with the service ordered and even though no problems were detected, I got the assurance that I made the right decision. I ended up buying the inspected apartment and still live there today. Thank you for Ehituskaitse Büroo’s expert assistance! We found an apartment in an old wooden house and decided to have it looked over by professionals before purchasing. The Home Inspector noticed scuffmarks, as a result of the dresser being dragged across the floor. It turned out that the dresser had been placed against an exterior wall to hide extensive mold damage which the owner had tried to remove before the apartment was shown. Further examination found that the facade of the house was in a state of collapse. Wind and rain damage had caused the moisture to come through the walls which was the cause of the mold inside the apartment. Thanks to the Home Inspection Services, we avoided buying an apartment which would have been damaging to our health, and we are ready to use their help in for future real estate purchases. I recommended the home inspection services of Ehituskaitse Büroo to a potential buyer before purchasing an apartment. Based on the recommendation, he chose the Silver package for the inspection. The inspection revealed both positive and negative aspects of the apartment’s condition which enabled the buyer to make an informed decision. The client was very pleased with the service. Buting or renting a property can be confusing - we will look out for you when you are buying or renting a new property in Estonia. The Ehituskaitse Büroo experts have over 20 years of experience in Estonia’s construction market. Serving the client is our top priority – we give you confidence during the home buying process.